Hollywood entered the summer with its usual high hopes for big-budget sequels. Instead, it was a season of mediocre movies and tepid box office results. And with studios locked in on the current formula, the next few summers won't look much different than this one. Although the summer likely produced enough hits to edge last year's total of $4.48 billion (a final tally for the stretch designated as "summer," which begins in May, will be finalized after Labor Day), rising ticket prices offset a general trend of declining admissions. In other words, the fact movies cost more has helped obscure that people are going to fewer of them. The latest season produced plenty of high-profile flops and disappointments, including a long-delayed sequel to "Independence Day," the newest "X-Men" movie and "Alice Through the Looking Glass." The last of those laid a major egg for Disney (DIS), which otherwise largely bucked with the trend with strong showings for "Captain America: Civil War" and "Finding Dory." "There's no doubt it's a sequel slump," said Jeff Bock, senior analyst at Exhibitor Relations. But, he noted, over the next few years, "every summer that the studios have scheduled sort of looks like this summer." The problem is the industry can't turn on a dime. Expensive, special-effects heavy movies take a long time to make -- meaning many scheduled for the next few years are already in production or pre-production. Companies like Disney's Marvel, Lucasfilm and Pixar trio, or Warner Bros.' DC Entertainment, have mapped out release dates years in advance -- booking "tent poles" (that is, movies intended to prop up their studio's whole box office) through 2019 or 2020. Those aren't the only reasons the studios are unlikely to shift direction. Their revenue from the season isn't actually as mediocre as it might seem on the surface. For starters, international box office continues to grow, and in some cases has turned movies that looked like failures in North America into moneymakers. And box office isn't the only way to make money. Larger franchises -- especially those in the sci-fi and fantasy realms -- feed multiple aspects of a studio's marketing apparatus, including licensing and merchandising. Take Warner Bros.' "Suicide Squad": it may have rapidly fizzled after its big $133.6 million opening weekend, but its overall box-office haul has grown to about $640 million worldwide. 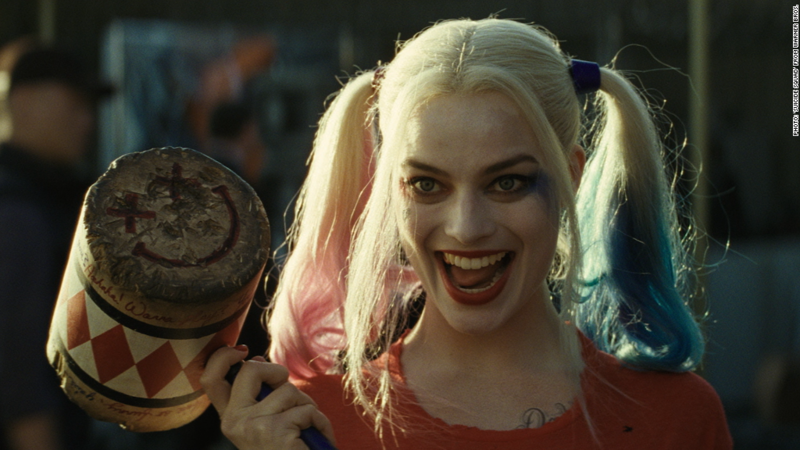 And that doesn't take into account how many action figures the movie might help sell or the number of Harley Quinn costumes, based on the villain played by Margot Robbie, which will turn up at upcoming Halloween parties. But even if the summer wasn't a total disaster, there were enough big-budget misfires to raise questions about whether there are any adjustments studios can undertake in the short term. Bock noted that horror movies performed well this summer, and those projects tend to be relatively inexpensive to make and quick to produce -- and could be punched out rather quickly as a hedge against sequels that might under-perform. Animation was also a bright spot, with "Dory" and "The Secret Life of Pets" raking in dollars. Filmmakers might also push for the latitude to do harder-edged fare after studios scored hits with R-rated titles -- including the superhero satire "Deadpool" earlier in the year and the Seth Rogen-produced animated feature "Sausage Party." For the most part, though, about all Hollywood can do in terms of the blockbusters lining up to be released is hope that they turn out better. Of course, many filmgoers -- and especially critics -- complain about the industry's lack of originality and willingness to take risks. As Los Angeles Times critic Justin Chang noted in taking inventory of the summer, "Even the best examples seemed predicated on comforting audiences with the familiar rather than thrilling them with the new." The movie business is built on tried-and-true franchises, and a few glitches are unlikely to significantly shake that strategy. So expect the formula to persist, even if the notion of comforting audiences with sequels, after this summer's uneven track record, doesn't provide bottom-line-conscious executives quite the same peace of mind.